So goes a prescient lyric from the musical canon of Michael Jackson. The late superstar sang vocals on the chorus of the Rockwell Gordy track. It was recorded in 1984, the same year of the ATV catalogue deal central to the current legal wrangling concerning the Estate of Michael Jackson. The Estate of Michael Jackson is co-helmed by ‘superlawyer’ John Branca. Branca has been closely associated with the late superstar for over four decades. Indeed, it was Branca who negotiated the terms of purchase concerning the now-notorious ATV catalogue. The historic deal involved Michael Jackson gaining the publishing rights to thousands of songs that included the lucrative and much sought-after music of many iconic artists. Infamously, the catalogue contained the rights to songs by The Beatles – infamous, insofar as being known for their extraordinary value and Paul McCartney’s refusal to stump up enough cash to buy the ATV catalogue for himself. Branca’s long-time client Michael Jackson is almost as famous for his legal tribulations as he is for his artistry. Therefore, Branca is certainly experienced – his having been intrinsically involved in Michael Jackson’s legal issues since Branca assisted Michael Jackson in acquiring the ATV catalogue. The move was an audacious and ingenious one, which overnight made the singer both astronomically-wealthy and a vulnerable target. After all, the business of music publishing had hitherto been the sole domain of the rich, white man. In 2003, six years prior to his death, Michael Jackson fired John Branca via a hand-delivered message that began “This is to confirm that I am terminating the services of you and your firm effective upon delivery of this letter.” Branca confirmed this much in court. John Branca had been representing both Michael Jackson and Sony Music, which might have been considered a conflict of interest at the best of times; never mind during a contemporaneous dispute between Michael Jackson and Tommy Motolla, Sony Music CEO. Branca the superlawyer is currently in court. Not as a professional, but as a defendant. He is on trial for allegedly attempting to defraud the IRS of three quarters of a billion dollars. Half a billion dollars of which is what the IRS claim is owed in tax, the remaining quarter of a billion dollars being financial penalties incurred. According to IRS documents, the trial should last for anything up to nineteen days. Subsequent to the untimely and controversial death of Michael Jackson, the Estate’s tax return was queried by the Internal Revenue Service (IRS). The first issue of concern was what the IRS considered to be the gross undervaluing of Michael Jackson’s ‘Image and Likeness’. Michael Jackson was one of the most famous human beings to have ever existed. After having been involved in the art of self-promotion since childhood, his face utilized to sell everything from cereal and sportswear to mopeds, cars and video games. Even during the twilight days of his existence, fashion houses competed to provide his clothing in the guarantee that such mass exposure would drive sales and increase the value of their product. 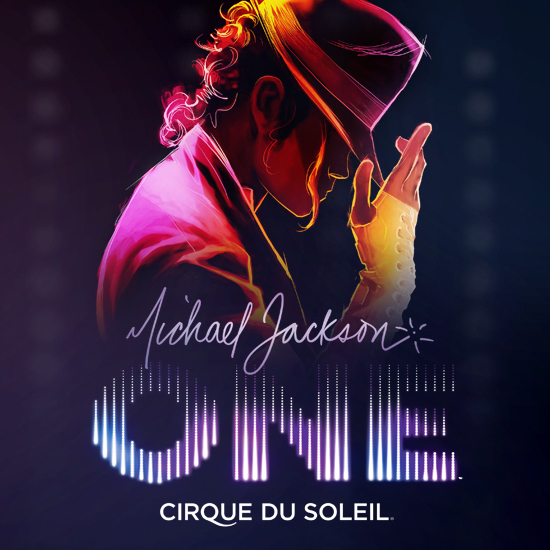 Over his five decades of performing, Michael Jackson had proved himself as a marketing extraordinaire – on a par with legendary circus promoter PT Barnum (someone who the singer greatly admired, with Barnum’s image even featuring in the artwork for his Dangerous album). In spite of this, John Branca – bizarrely – deemed it reasonable to value Michael Jackson’s Image and Likeness at a mere $2150. A sum that even pales in significance next to the cost of many Michael Jackson fan’s personal memorabilia collections. This question posed by the fan, and the answer offered by Branca, are far more profound than might ostensibly appear. Because Branca is in a win-win situation. The Estate of Michael Jackson would become bankrupt should the prosecution triumph, and Michael Jackson’s children would lose their entitlement to the huge wealth their father bequeathed them; wealth earned during a career devoted to persistent hard work. Whilst Branca himself will suffer no personal disadvantage. After the singer’s death, the Estate struck a deal with Pepsi whereupon they rekindled the highly-profitable relationship the two parties had enjoyed during Michael Jackson’s heyday of the eighties and early nineties. Pepsi had sponsored many lucrative projects, including world tours and iconic commercials. The recording of one of the 1984 Pepsi commercials (eerily, on the precise middle day of the star’s life) became the stage for the life-altering burning incident that introduced Michael Jackson to prescription painkillers – the medication that would ultimately play a significant part in his future decision-making and death). As a result of this reunion in the late noughties, Michael Jackson’s Image and Likeness was once again used as a successful marketing device – an arrangement that surely even the most vicious of cynics would deem worthy of more than a couple of thousand dollars. As the Estate pushed this money-garnering deal and those of a similar ilk, it simultaneously – obsessively – curtailed the behaviour of other, more small-fry entrepreneurial endeavours, such as the Japanese counterfeiter that sold tea towels and keyrings bearing Michael Jackson’s likeness. Incongruously strenuous efforts, perhaps, considering the Estate was valuing the marketing potential of Michael Jackson’s Image and Likeness at $2150. The court heard John Branca testify how the only trademarked images of Michael Jackson at the time of his death were those of his dancing feet and his signature, and that the spectacularly successful Cirque du Soleil show (MJ One), with a residency in Las Vegas and a celebrated world tour under its belt, does not generate much income for the Estate and does not include Michael Jackson’s Image and Likeness. The prosecuting IRS lawyer was quick to respond that Las Vegas is plastered with advertisements for the show, that do indeed portray Michael Jackson’s Image and Likeness. Naturally. 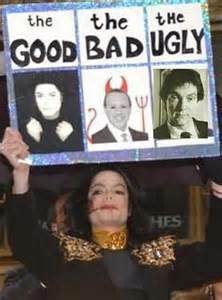 Branca had been all-too ready to sign off on such dubious projects as the fake tracks and the tacky utilisation of a hologram featuring a Michael Jackson lookalike (as well as a gamut of other indiscretions), yet not-so-eager to protect issues close to the late singer’s heart such as the Heal The World Foundation. Michael Jackson’s humanitarian efforts whilst alive included the creation of this charity. Indeed, the singer cited the philanthropic venture as the very reason for embarking upon the Pepsi-sponsored Dangerous World Tour. 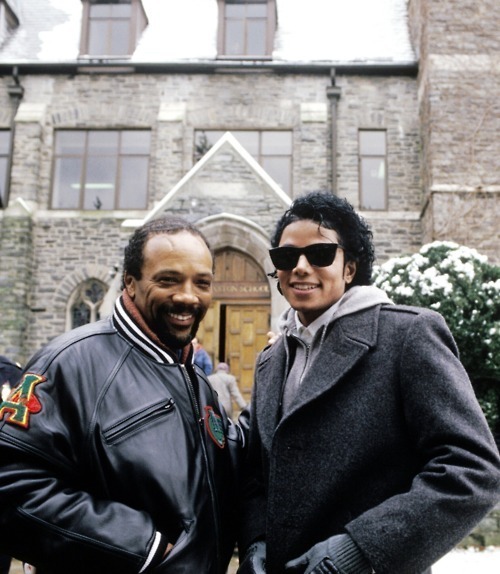 After complicated and legal wrangling involving allegations of bribery concerning the lawyers representing the Heal The World Foundation, Branca acquired the rights to the charity. It was then stripped of all assets, before being returned it to its original owner. One of the stipulations in Michael Jackson’s supposed will is that a fifth of his wealth should be donated directly to charity. Eight years later, this has yet to be honoured. The fake tracks and the hologram are all the more offensive when seen in the light of Michael Jackson as being notoriously perfectionist. This being the reason why many tracks – although complete to the ears of most – remained unreleased during the singer’s lifetime. Perhaps the biggest affront to Michael Jackson’s ethos of perfectionism, however, was the release of the This Is It rehearsal footage as a movie. The movie was nothing less than a cynical profiting from the video diary of a man clearly suffering in the final days of his demise. In court, Branca distanced himself from the project, blaming the release on the motivations of Sony and AEG. AEG being the doomed This Is It tour promoter, and currently represented in court by a certain Randy Phillips, who is appearing in court for the defence, in spite of Branca’s attempt to keep his association with the This Is It endeavour at arm’s reach. Randy Phillips is famous for admitting to having hit Michael Jackson and “screaming at him so hard the walls shook” as well as referring to the star as “the freak”. All of this recorded in email correspondence presented during the trial attempting to establish who was responsible for Michael Jackson’s death. The other concern raised by the IRS regarded the Michael Jackson Estate’s valuation of the 50% share of the Sony/ATV catalogue. The Estate’s original valuation had been the round sum of $0.00. Which was then amended to minus $139,000,000.000. 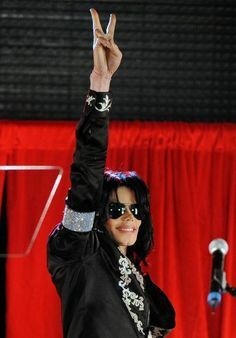 The court heard testimony that Sony were not interested in buying Michael Jackson’s share of Sony/ATV immediately after his death on June 25th 09. The success of the catalogue had seen its valuation increase dramatically, to the extent that it meant either partner buying out the other became prohibitively expensive. If only there was a way to depreciate the catalogue’s value? Perhaps the digging up of the child molestation allegations that dogged Michael Jackson’s latterday media persona might do the trick. Tabloid smears were seemingly ignored, if not passively encouraged. Michael Jackson’s nephew, Taj Jackson – one third of the band 3T – launched an official press complaint with regards a particularly obscene headline story printed in the UK newspaper, the Daily Mail. The motion was – inexplicably, it seemed at the time– stymied, if not sabotaged, by the Estate. On the day the will was brought and shown to Katherine Jackson, the signature page was not presented. It was missing. When the will was supposedly signed in Los Angeles by Michael Jackson, the singer was provably thousands of miles away – protesting in New York against his perceived mistreatment at the hands of Sony Music. Following his ex-client’s death, John Branca is on record as stating, “I am Michael Jackson now”. 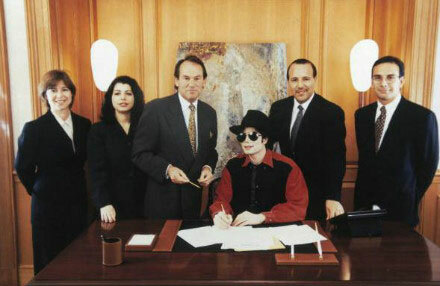 The obstacles that Michael Jackson encountered on attempting to refinance the Sony/ATV loans came about due to the strict stipulations that had been enforced by Sony, and the original deal which had been forged by Branca. The provisos meant that banks proved hesitant in entering such a complicated financial relationship. Branca had been the lawyer responsible for drawing up the contracts when Michael Jackson sold half of the ATV catalogue to Sony. It had myriad clauses that were so rigid and obfuscating, they were tantamount to nothing less than a financial enslavement of the singer. Branca sits on Sony/ATV’s board and oversaw the selling of 100% of Michael Jackson’s share of the catalogue to Sony, therefore continuing to profit from the deal ad infinitum, regardless of the result of the trial. As far as the insinuation of Branca being an agent of Sony is concerned, the circumstantial evidence is compelling. Branca profits either way and from all sides, with his making a percentage both from the money the Estate makes, as well as for brokering the deal for Sony. With the reveal of further legal documents pertaining to the case, subplots have emerged in the same manner that worms rise from dirt after rainfall. Papers produced show John Branca as being named as a co-conspirator in an Investigation for Elder Abuse against Michael Jackson’s mother, Katherine. The investigation involved a family member called Trent, who was on Branca’s payroll. As this subject was broached in court, and details were unearthed of Trent’s misdemeanours involving the use of eight armed guards to imprison Katherine Jackson in her own home, Branca felt it an appropriate time to retire for the day. Branca claimed Michael Jackson made no money after the 1993 allegations, that the star financed his lifestyle using loans and the Sony/ATV merger. Yet, in 1995, Michael Jackson released the HIStory album, which remains the biggest selling double album of all time. In 1996, Michael Jackson embarked on the HIStory world tour, during which he played to the biggest audiences of his career. On the day Michael Jackson died, Twitter’s servers crashed due to demand as people across the globe took to social media to lament his passing. Michael Jackson remains the third biggest selling artist of all time.